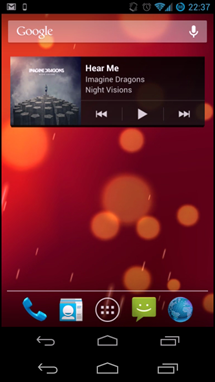 Screen mirroring on Android is still a bit of a hit-and-miss prospect. Plenty of issues can arise from environmental factors like network congestion, to the type of device being used (*ahem*, Tegra). A few months ago, we covered a recent entrant in this market, BBQScreen by XpLodWilD and nebkat. 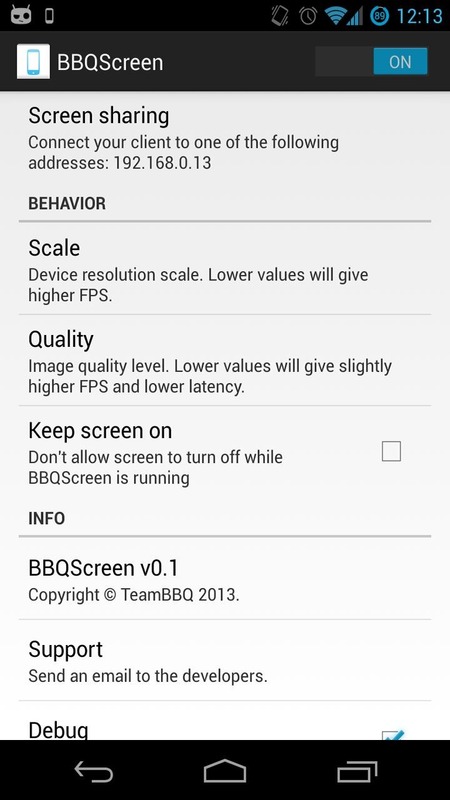 The app was able to deliver a pretty consistent 25 fps from several types of devices over WiFi, Bluetooth, or USB. Unfortunately, several bugs and incompatibilities plagued some users, but the developers have been working hard to remedy many of those issues. Yesterday, the pair released v2.1, a significant update that switches to a more reliable network protocol, adds a higher performance streaming method, and finally adds true remote control capability. In addition to the server update, an Android client was also launched, bringing all of the same capabilities as the desktop clients. While streaming from my Nexus 7 (first gen) to my laptop running Windows 8, performance was very solid and only became unreliable when pushed to very high scaling. Lag was usually under half of a second, and controlling the N7 remotely through my laptop worked quite well. 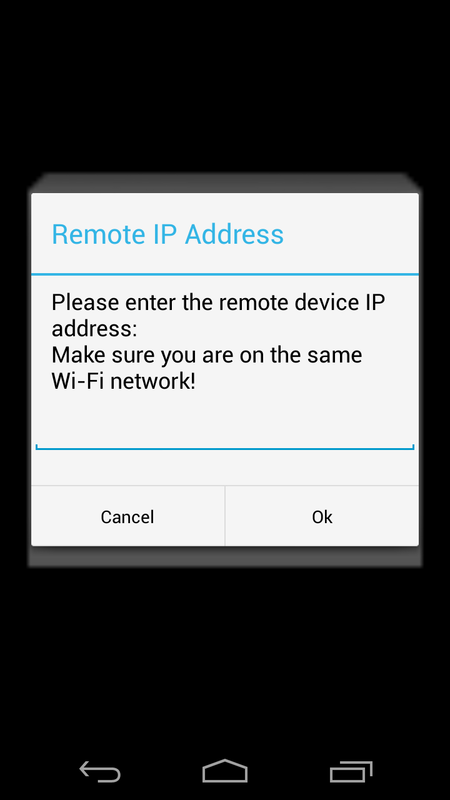 Unfortunately, the same could not be said when I switched to using the Android client on my Nexus 4. Lag was usually around 5 seconds, and the feed frequently stopped updating after about 15 seconds or so. I was able to remotely control the N7 with taps, but could never successfully drag from one home screen to another. Keep in mind, the Android client is still in beta, and it's entirely possible that my experience or device configuration may not match your own; that's why there is a 15-minute return window. Hopefully, the mobile client will grow into a solid performer just like the mobile server and desktop pairing have. A totally new transmission method. Previously, we used to burst JPEG images to your computer. Now, we are using a next-generation, Miracast-inspired video feed. This results in a smoother mirroring of your phone or tablet screen, at the cost of a slight delay. We still have to tune that around, but it gives much better quality than our previous version. A totally new protocol. We used to blindly push JPEG through UDP, resulting in tearing and all sorts of weirdness (assuming any frame would arrive one day, which quite a few of you had troubles). The unreliable nature of UDP caused lots of troubles about image not showing up at all on your computer because no frame would ever arrive. We’re now going through a classic TCP connection as video feed is much more stable and use less bandwidth. Ugly bugs fixed. But you don’t want to hear about that. Framebuffer capture method. 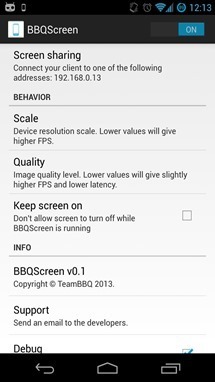 On some devices, like Exynos-powered ones, the screen can be obtained through the GPU buffer, called the framebuffer. This makes the device smoother to use, but can introduce tearing, and is not supported by some platforms (on my tests, Snapdragon and Tegra3 devices aren’t compatible with this method). Remember that the Android client won't be very useful without the "Remote Control" server. While the desktop clients (Windows 7+, Mac, and Linux) are available as free downloads from the website, the Android client is $0.99, and the server comes in at $3.99. If you find that you've got a need for live streaming from your device for meetings or presentations, give BBQScreen a shot. Even if you don't need it, just think of how much fun you could have by getting a friend to stand nearby with a second device while you convince strangers that you can control your phone with your mind.